The Most Famous Explorers of Antarctica are revered for creating a heritage of exploration and scientific study of the most remote and mesmerising continent on our planet. Read all about their missions, their tears, their failures, and their most celebrated achievements. 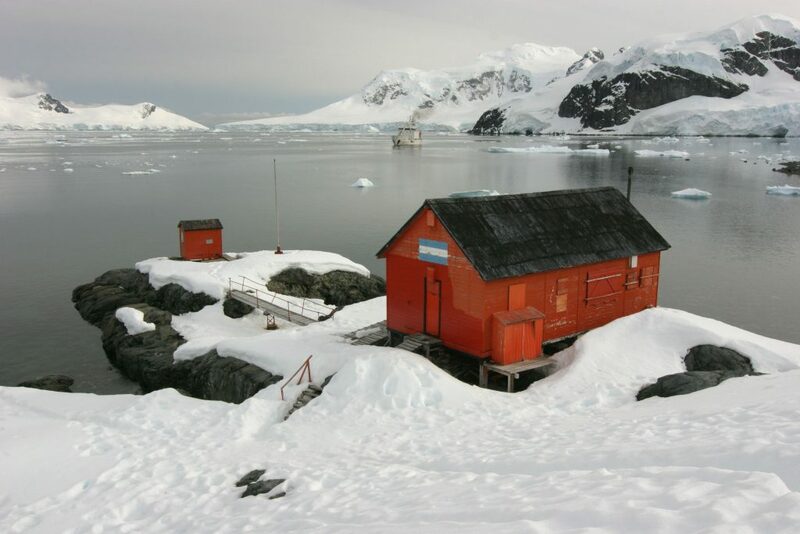 Man’s fascination for the southernmost reaches of our planet has persisted for almost two centuries, ever since British explorer James Clark Ross recognized the dramatic and inhospitable mass of ice-covered land as the Antarctic continent we now know and love. Yet despite all this time, and all the colossal efforts made by various countries to carry out extensive research, it is estimated that NASA knows more about Mars than the whole scientific world knows about the White Continent. Research Station Paradise Bay. Photo credit: Shutterstock. Antarctica may well continue to remain a mystery to us, yet everything we know so far about this utterly captivating place, we owe to but a handful of adventurous, brave, and testosterone-driven men. Because the inherent male needs to compete and win (at just about everything, really) must surely count for much of our joint human achievements. So who were these Explorers of Antarctica who set sails for the end of the world and froze where no man had ever frozen before? Some of the most influential pioneers of all time hailed from almost every corner of the globe. A few came in search of fame, financial glory, and perhaps a knighthood, whilst others were genuinely curious about what lay beyond. Most are famous, revered, and celebrated internationally, whilst others are barely known outside of their own home-countries. Yet while egos clashed, life-long friendships were formed, and a wealth of enthralling history was carved onto the Antarctic ice, these explorers irrevocably changed the course of human history. Here are The Most Famous Explorers of Antarctica. One of the most famous Explorers of Antarctica is Sir James Clark Ross. 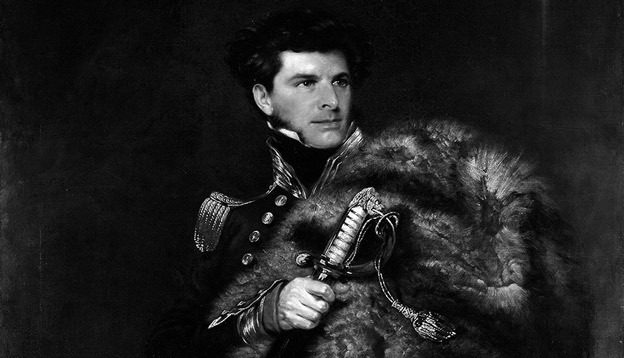 At the helm of the HMS Erebus and Terror, James Clark Ross became the first man to recognise Antarctica as the continent it is rather than the collection of islands it was long assumed to be. In terms of knowledge and coastline charting, he is regarded as the forefather of Antarctic exploration and his achievements were impressively abundant. He discovered both Mt Erebus and Mt Terror (which he named after his own vessels), as well as the Ross Sea, Victoria Land, the Ross Ice Shelf, James Ross Island, Seymour Island, and Snow Hill Island. Before heading to Antarctica, Ross first explored the Arctic (when he was just 18 years old) joining his uncle, Sir John Ross, on a Northwest Passage in 1818. His exploits on both ends of our planet eventually earned him a British knighthood in 1844. When it comes to Antarctic exploration, testosterone really has a lot to answer for. The famous Race to the South Pole of 1911, a competition to be the first to reach the elusive spot, saw two well known Explorers of Antarctica: Norwegian Roald Amundsen, and British Robert Falcon Scott. Amundsen beat Scott to the finish line by about a month (in December 1911) and was the much-celebrated winner of the Race. His advantages over the British explorer were not trivial. Being Norwegian, he (and his team) were adapted to harsh conditions, were experienced skiers and knew the intricacies of using dog-led sleds. 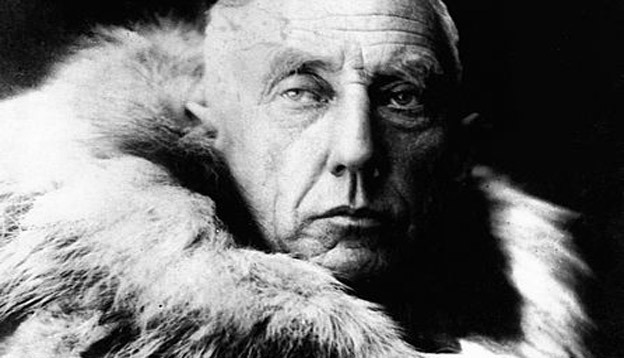 True to his competitive nature, Amundsen’s fervent attention to the South Pole was a rather impromptu affair. He had actually intended to be the first man to reach the North Pole, yet once he heard Americans had beaten him to it in 1909, he promptly made a U-turn and headed to the South Pole instead. Much to Scott’ eventual anguish. 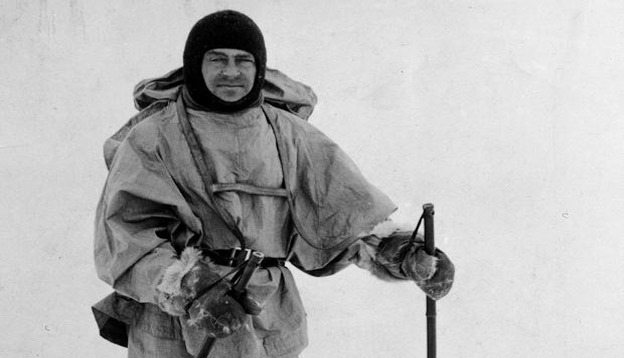 Captain Robert Falcon Scott made two attempts at reaching the South Pole. In the first, aboard the Discovery in 1901 (accompanied by Sir Ernest Shackleton) he failed to reach his intended target, although he still made it farther than anyone else had at that time. Scott is, however, mostly renowned for his rather catastrophic second attempt, which he undertook in 1910. Scott’s inability to utilize sled-dogs and his inexperience with purchasing suitable beasts of burden (he bought ponies instead of horses) literally set his mission into a failing-course right from the start. Scott and his team eventually reached the South Pole in January 1912, where they discovered Amundsen’s recent visit. Colossally disappointed and completely exhausted, Scott perished at Camp Evans just before setting off for his return trip home. Some will say of a broken spirit. There aren’t many people who know that the famed Race to the South Pole actually had a third contender. 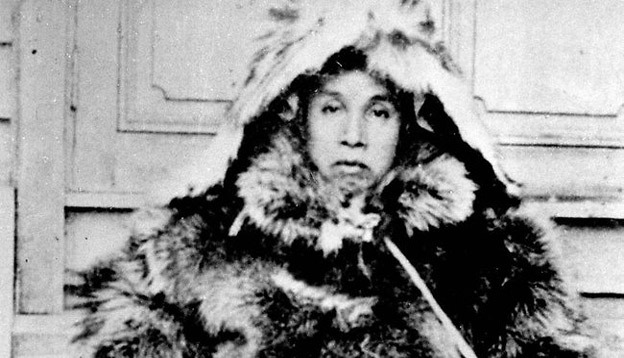 At the same time that Amundsen and Scott were busy huffing and puffing their way south, a little-known Japanese expedition, led by polar-enthusiast Nobu Shirase, was quietly making achievements of its own accord. On his first attempt, Shirase didn’t make much headway and was forced to spend a winter in Sydney in 1911 whilst preparing for a second attempt. It was here that he became friends with a fellow Australian Antarctic explorer, Sir Edgeworth David. Just before setting off to Antarctica for the second time (too late to beat either Scott or Amundsen by then) Shirase gifted Sir David a ceremonial Samurai sword, which is now on display at the Australian Museum in Sydney. This interesting article details the sword that tells the story of a little-known friendship. Curiously enough, Shirase had, much like Amundsen, set his sights on being the first man to reach the North Pole, but had also turned around once news reached him that the Americans had already bagged that trophy. Ernest Shackleton was aboard the Discovery which took Scott toward the South Pole in 1901. After being abruptly sent home from that mission (supposedly due to medical reasons) Shackleton organized his own expedition from Great Britain, much to Scott’s distress. On his first mission, accompanied by revered Australian explorer Douglas Mawson, he made the first-ever ascent of Mt Erebus, the second-tallest peak in Antarctica. What undoubtedly cemented Shackleton’s place in Antarctic pioneering history, however, was his second mission. Not for its dismal failure mind you (his ship was sunk by an iceberg), but for the fact that he managed to keep all of his crew alive for the mission’s entirety. His story of survival against all odds is arguably the single most awe-inspiring Antarctic stories of all. 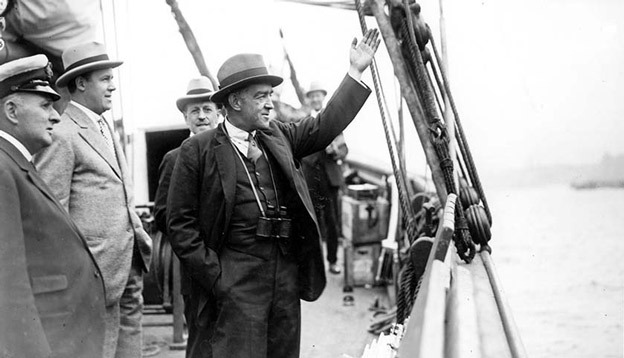 Shackleton’s death (of a heart attack aboard his ship in South Georgia, in 1922) is thought to have heralded the end of the Heroic Age of Antarctic Exploration. 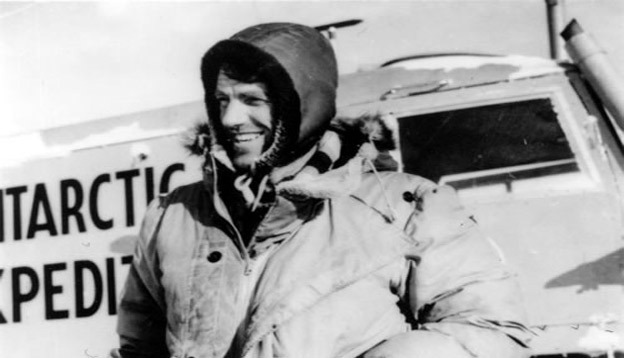 Most famous for being the first man to ascend Mt Everest (along with his Sherpa), Sir Edmund Hillary was also the third man to ever reach the South Pole, the first to do so since 1912, and the first ever to use motorized vehicles. He partook in a Commonwealth expedition in 1958 (as leader of the New Zealand mission) and his Antarctic accomplishments are still revered nowadays. After his first Antarctic mission, Hillary spent the following two decades surveying the White Continent and his detailed accounts are still considered required reading for modern-day missions. In 1985, he joined American astronaut Neil Armstrong on a flight to the North Pole and became the first man ever to stand on both Poles and the world’s highest peak. Not without fair reasons, Hillary is the face of the Kiwi $5 note. Most likely to be one of the most most famous Explorers of Antarctica is Sir Douglas Mawson. Australian pioneers were involved in Antarctic exploration since the get-go, with the first ever expedition, undertaken by physicist Louis Bernacchi, setting off in 1899. 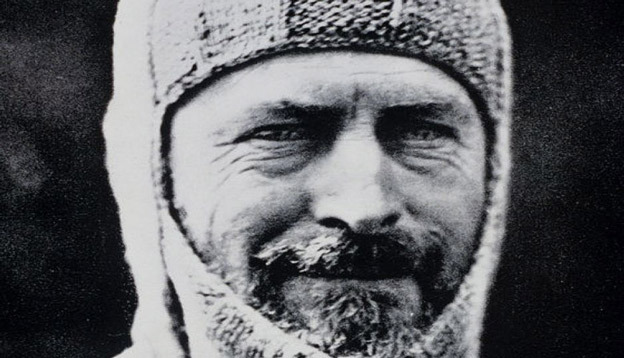 Yet of all the men who made it their mission to probe the White Continent, Sir Douglas Mawson is by far the most famous, as well as the most accomplished. To say that Sir Douglas Mawson single-handledly secured Australia’s reputation as an Antarctic power would certainly not be an overstatement. Mawson’s ascent of Mt Erebus is legendary and regarded as one of history’s most impressive feats of endurance. Mawson’s legacy inspired a nation and still continues to do so, although many don’t know that his Antarctica expeditions were only a fraction of all that he achieved in his lifetime the North Pole,ts off from new Zealand.ingle most awe-inspiring Antacrtic stories of all.d the world’ abroad, w. After helping to map the Pacific’s New Hebrides Islands, and carving a career as a speaker and lecturer, Mawson turned his attention to southernmost reaches of our planet. Along with his insatiable craving for adventure, he was also a consummate intellectual and an exceptionally influential speaker. By the time he joined Robert Falcon Scott’s Antarctic mission in 1908, he was already a remarkable explorer, physicist, geologist, and lecturer in Australia. His extensive studies of radioactive minerals are still considered distinguished in the field. Got inspired by those Explorers of Antarctica and want to feel like a modern pioneer? Then come on down to the end of the world! Chimu Adventures offers unforgettable expedition cruises to Antarctica and an incredible 27-day adventure expedition to East Antarctica in the wake of Mawson, which sets off from New Zealand. Cruise to western Antarctica including the Ross Sea and Ross Ice Shelf. The famed location of Scott an Amundsen's race to the Pole.